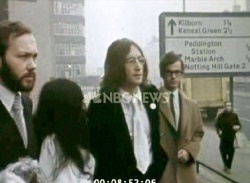 Notes: John & Yoko are seen arriving back at a London courthouse to plead their charges for drug possession. 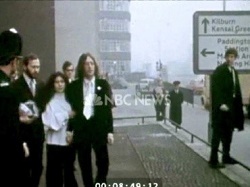 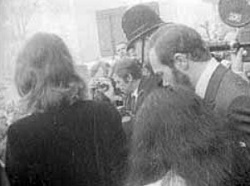 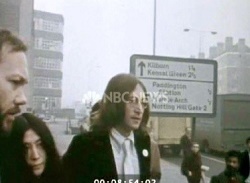 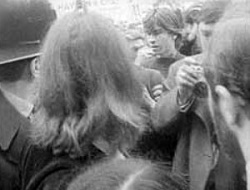 Notes: Reuters also shot some black and white film for their newsreels of John & Yoko arriving at the London courthouse. 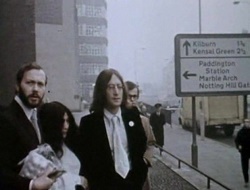 Notes: Raw colour footage with sound of John & Yoko leaving a London courthouse after pleading their charges for drug possession.